Crystal Springs, Belmont - The authors of the farmer’s almanac should take note: the WCAL Championship will be warm and muggy. It has become a tradition of sorts, the anomaly that the warmest day of the fall seems to consistently land on race day. And once again the warm and muggy conditions made for a challenging day for the runners. The conditions were deceptive in that while not blistering hot, a modest 79 degrees, but combined with the humidity and dusty trail it took a toll on the competing runners as the girls’ finish line resembled more of a war zone than a finish shoot. While times lagged, there was one stat that stood out for the Warriors: place. Three girls earned All-League recognition placing in the top 10, Jessica Xu, Kailey Eddy and Sara VanWagoner. 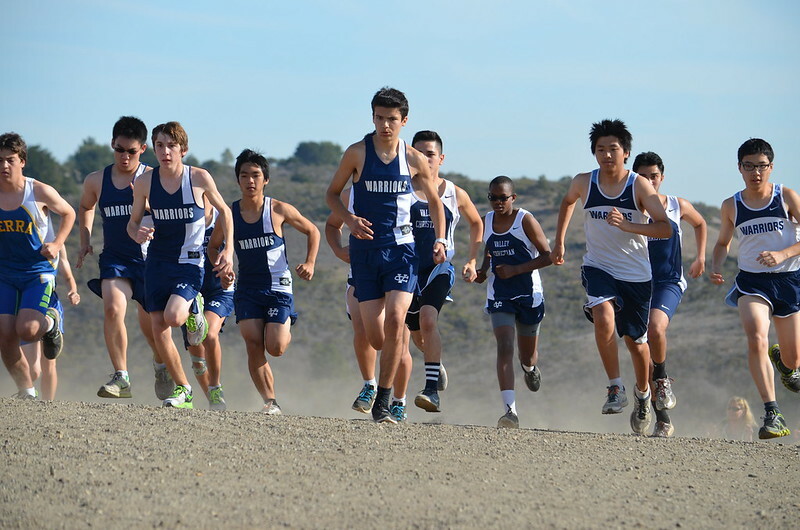 The strong performance upfront helped the Lady Warriors finish third in the team standings, their highest placing for the Championship race since joining the WCAL. Ashley Lara and Nicole Favre worked as a team pacing the hilly 2.95 mile course under 21 minutes to round out the team scoring along with Karen Mac (21:01) and Leia Wang (22:40). The girls advance to the CCS championships with an automatic qualifier. As the sun dipped below the hills temperatures dropped. The freshman boys, running in the last race of the day, benefited as conditions turned ideal. Closing out the season in impressive fashion the team finished second in the team standings. It was a complete team effort, and it needed to be as freshman Nedu Ndili was bumped up to the Varsity level. But missing one of their top runners had little effect as the depth of the young squad shined through in a dominant performance scoring their lowest tally of the season. Top finishers for the freshman team was Cameron Lockard (17:55) and Justin Baraona (17:57) both finishing in the top 10. Six runners ran in the 18 minutes or lower, impressive marks for freshman. Those marks came from Samuel Cuevas (18:25), Matthew Weeks (18:33), Yash Patel (18:41) and Newman Hu (18:59). The WCAL is perhaps one of the most competitive leagues in the section, perhaps even the state featuring an enormous depth of talent. No one knows that more than the varsity boys who have to continually face top ranked teams Bellarmine, St. Francis and Saint Ignatius, in addition to division powerhouses Serra, Mitty and Sacred Heart. But rather than simply accepting their fate the Warriors continue to battle and what resulted was a strong team performance that saw Jason Li and Jeremy Dong advance to the CCS Championship. The team finished with the second fastest team time in school history as the scoring runners all earned marks in the 18 minute range or under. Nedu Ndili got his first taste of Varsity action and finished in a respectable 18:00. He was followed by Peter Enfantino (18:23), Dean DeMoss (18:35) and Tejas Reddy (18:57). 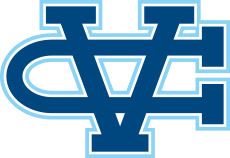 The Warriors will compete in the CCS Championship at Crystal Springs on November 16.